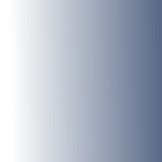 Explorer OL6 – The English Lakes – South-West Area. 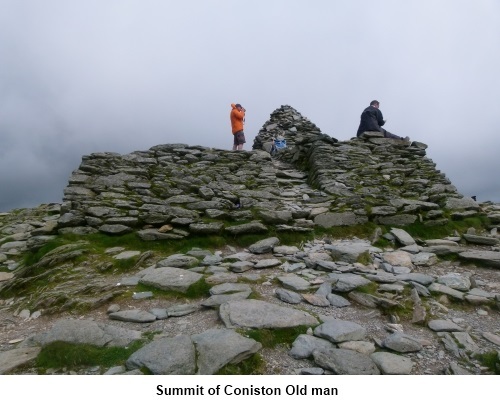 Introduction: The Old Man of Coniston known also as Coniston Old man or just “The Old Man” is essentially a massive pile of slate. 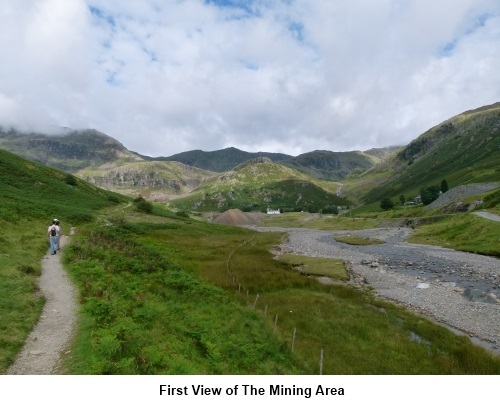 It is not surprising therefore that there is much evidence of slate mining and quarrying to be seen on this walk, which adds another dimension of interest. 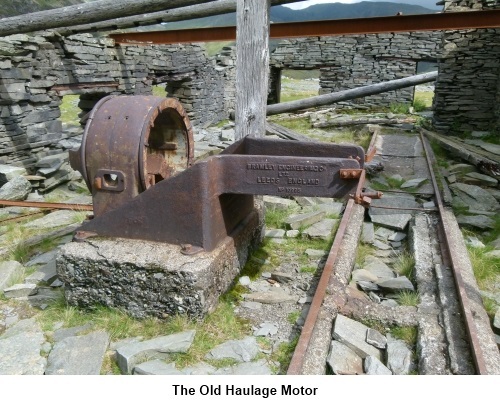 The Old Man is the last major peak at 2634ft (803 metres) as you head south out of the Lake District. Consequently from its peak, there are good views not just of the other Lake District hills but also the coast. 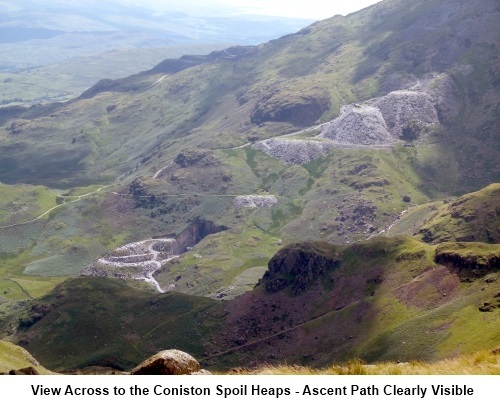 This walk up Coniston Old Man forms a horseshoe with Swirl How 2631ft (802 metres) and Wetherlam 2502ft (762 metres), so you get three summits to bag! 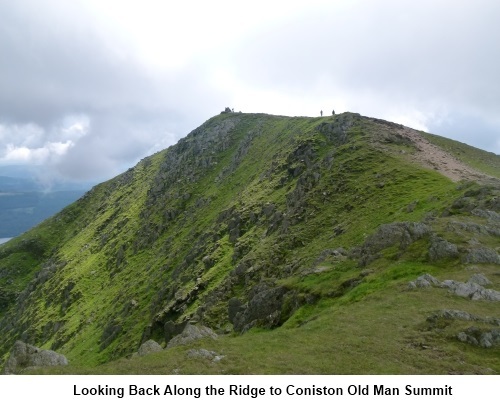 Coniston Old Man is very popular with walkers. The route to the top is clear and in fine weather is usually busy. Wetherlam by contrast is very quiet and most walkers clearly do an ascent and descent of the Old Man, ignoring Wetherlam. 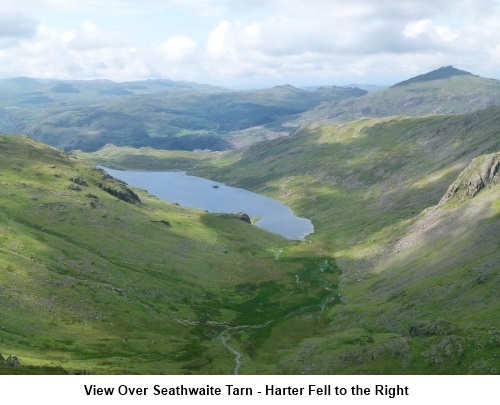 This is a pity because in many ways, the views from Wetherlam are better (in my opinion). Another contrast is that whilst the path up Coniston Old Man is rocky and steep, the descent down Wetherlam is relatively gentle and grassy. For that reason I recommend following this clockwise route rather than the other way round. 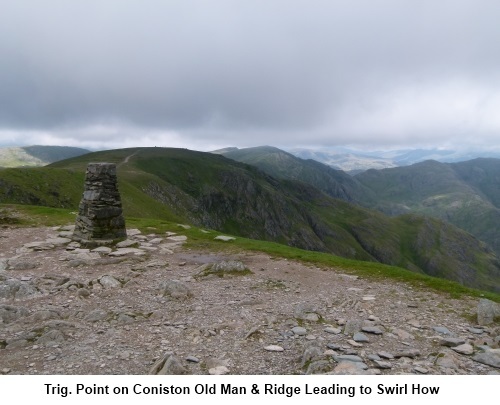 The summit of the Old Man is marked by a trig. point and a large cairn and plinth, constructed of slate. This is a high peak with attendant risk of low cloud making navigation difficult. Although the paths are pretty clear and there are larger than average cairns to help, please take a map and compass with you. A descent into the wrong valley could mean a very long detour back to your car! 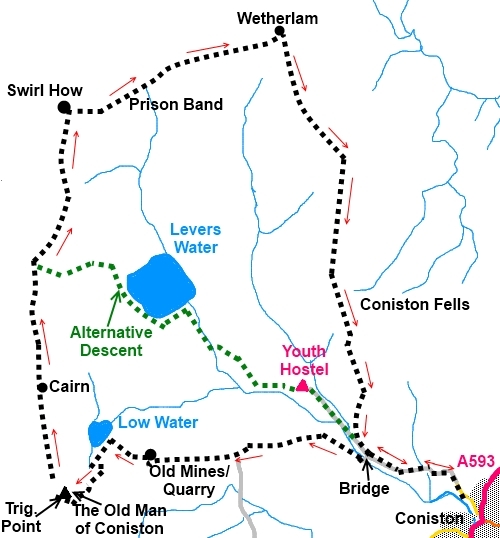 If you have to curtail the walk, there is an “escape route” mid way between the first large cairn and Swirl How down via Levers Water (indicated in green on the sketch map). The walk starts from free parking in the lane which runs north westerly, past the Black Bull Hotel, out of the centre of Coniston village. Just continue past the yellow lines and park where you can. To get to Coniston, from the north, take the A593 south west from Ambleside or from the south, go north east from Broughton in Furness. The A5084 north from the A5092 is also an option. 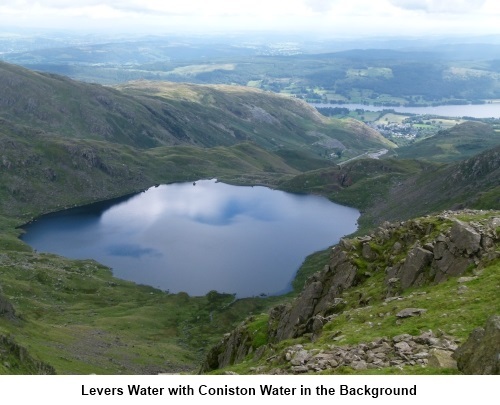 Coniston has many refreshment opportunities after your walk but your own sustenance is needed en route. Start: Walk along the lane heading away from Coniston village. The tarmac gives way to a wide stony track (SD 300980). Follow this until you come to a bridge (SD 294981) on the left. Cross this and turn immediately right on a narrow but clear path which for a short while follows the course of the beck. Turn right at a ‘T; junction of paths ( SD 284980). Ignore the next path off to the right which wends its way round the bluff and stay on the main track straight ahead. 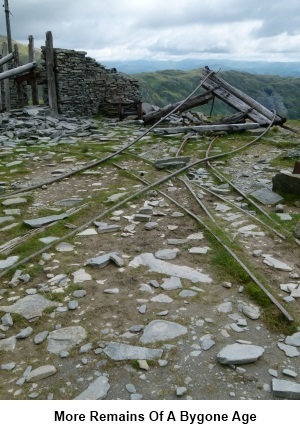 As you get to the remains of the mine, with spoil heaps and abandoned cables, the path goes up the left hand side. 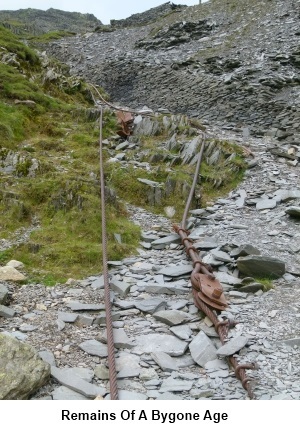 Part way past the mines, you will notice an old fallen pylon on the left. The path goes right here but it is worth a few steps left to see the old mine entrance. 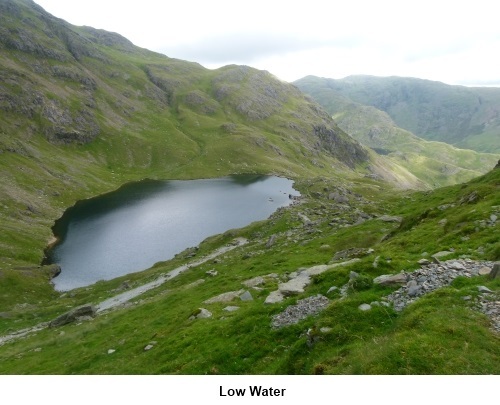 On reaching Low Water (SD 276982), take the path round its left hand side which gets a little steeper and simply follow this to the summit. From the trig point (SD 272978), follow the ridge along curving slightly right. 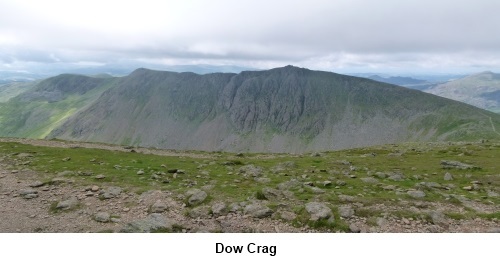 Avoid the path to the left which will take you to Dow Crag. 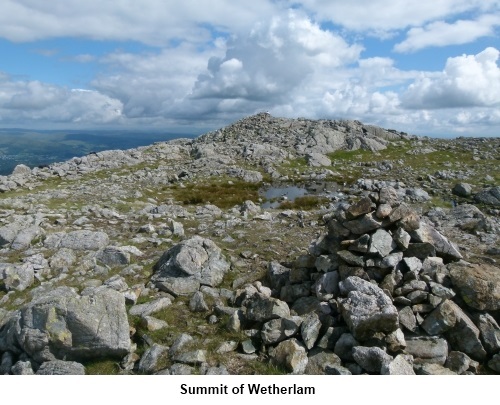 At SD 271986, you come to another large cairn which marks an unnamed summit (796 metres). 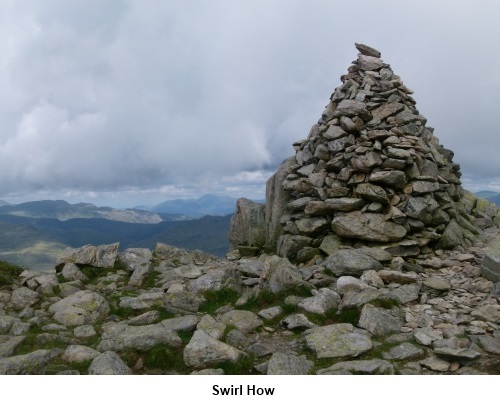 Continue along the ridge and the next large cairn marks Swirl How, where you turn right for Wetherlam. Along here are good views over to the Scafell Range. You descend the rough stony ridge of Prison Band (NY277007) to a saddle, then rise to the top of Wetherlam (NY 288001), marked by a stone cairn. 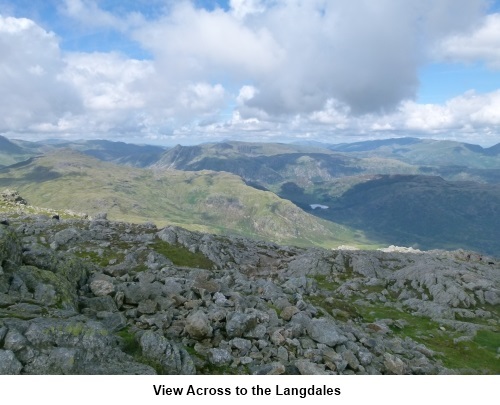 Some of the best views of The Langdales can be had along here. 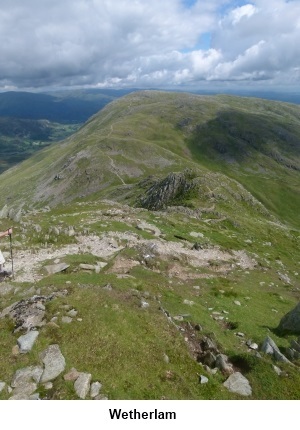 The route from the top of Wetherlam is a little indistinct at first but head just east of south towards a grassy ridge. 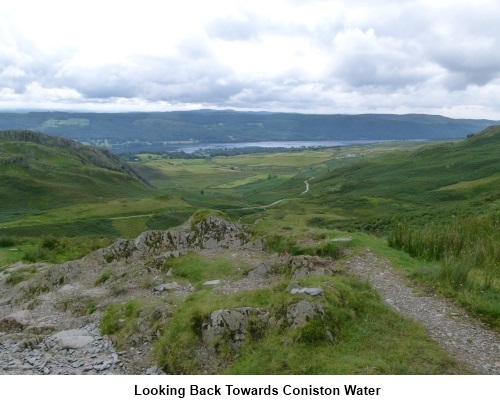 You soon see the path and Coniston Water helps you get your bearings. The path passes to the left of a small tarn. The path is mostly grassy and in places becomes indistinct. Just descend steadily keeping in mind that ultimately, you will be descending to the valley to the right (west) so do not wander too far the other way. Eventually, you meet a clear track at a ‘T’ junction (SD 283990), turn right here. The track comes into the valley bottom broad track close to a row of cottages. Turn left and stay on this track back to the car.